Explore the most beautiful islands in French Polynesia on a fabulous cruise that gives you access to private beaches, cultural experiences, and enchanting onshore excursions. Round-trip flights from LAX included! This Tahiti Cruise: Bora Bora and Society Islands Vacation was planned for 2 friends celebrating a 30th birthday. They decided to treat themselves to a fabulous cruise to the Society Islands of French Polynesia. French Polynesia, or the Islands of Tahiti, is a gorgeous collection of volcanic islands and atolls strewn lazily across the grand Pacific Ocean. We sent them on this amazing cruise so they could experience all the best islands, then they spent their final night relaxing at a beautiful resort. Their Tahiti Cruise: Bora Bora and Society Islands Vacation disembarked from Papeete. They spent 7 nights with the incomparable Paul Gauguin Cruises, perfect for those who want a core Polynesian experience. The Paul Gauguin was designed specifically to sail the shallow seas of Tahiti, Fiji, and the South Pacific, visiting small ports that larger ships can’t reach and effortlessly blending into the stunning natural beauty of the South Seas. During their heavenly week-long cruise, they visited French Polynesia’s most beautiful islands: Tahiti, Huahine (“The Garden Island”), Taha’a, Bora Bora, and Moorea. 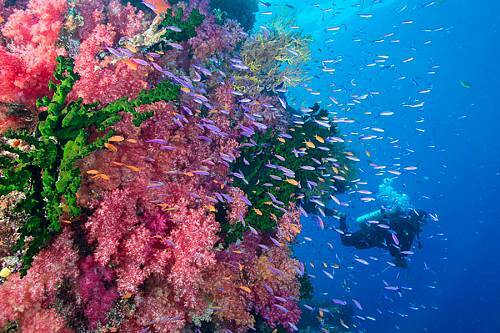 They were completely blown away by the cerulean waters and shallow, colorful lagoons. They were able to discover sites of Polynesian history, lounge on breathtaking beaches, and enjoy snorkeling, windsurfing, paddle boarding, and more in the calm waters. Paul Gauguin even has its own private motu (small islet) off the coast of Taha’a where they had a delicious BBQ lunch on the beach. After their cruise, they ended their Tahiti Cruise: Bora Bora and Society Islands Vacation with a night at the beautiful Tahiti Pearl Beach Resort. Located just 10 minutes from Papeete, the resort faces a beautiful volcanic sand beach and offers an amazing view of Matavai Bay. They made the most of their final night by indulging in a relaxing massage and enjoying a fabulous dinner while watching the gorgeous Tahitian sunset. 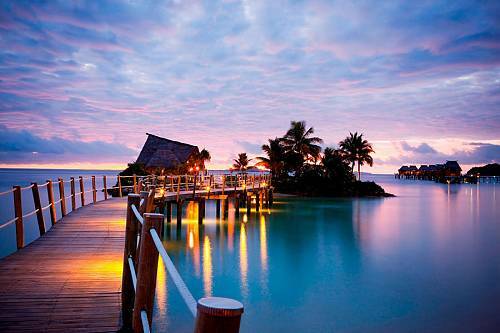 Welcome to the Islands of Tahiti! 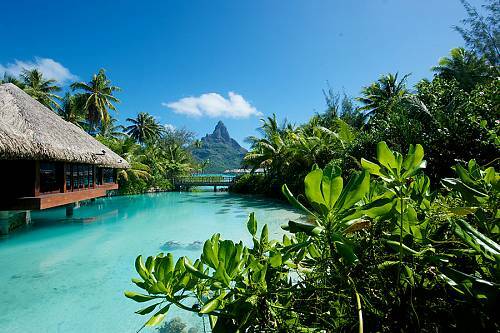 The islands of French Polynesia are a gorgeous collection of volcanic atolls strewn across the grand Pacific Ocean, and the island of Tahiti is the largest of all 118. Explore the dynamic dining, nightlife, and shopping in the capital city of Papeete before embarking on The Gauguin for a fabulous 7-night cruise. Today, you will explore the gorgeous island of Huahine. Known as “The Garden Island,” Huahine’s lush rainforests and dramatic terrain surround sacred sites and legendary landmarks that are among the best-preserved archeological sites in French Polynesia. If Huahine’s expansive lagoon is calling your name, enjoy a SCUBA diving excursion or picnic on the beach. Discover the island of Taha’a today. Paul Gauguin even has its own private islet off the shore, Motu Mahana. Embark on your choice of exciting shore excursions today, or spend your whole day relaxing on the delightful sands of Motu Mahana. Enjoy swimming, snorkeling, and kayaking, or simply lounge on the beach with a chilled beverage from the floating bar. Les Gauguines will also be on hand to provide musical entertainment and demonstrate traditional Polynesian crafts. Enjoy a delicious BBQ lunch on the beach. A bucket list destination for many, stunning Bora Bora welcomes you for 2 full days of exploring lush peaks, white sand beaches, colorful coral reefs, and romantic lagoons. Experience the natural beauty of the island with an optional snorkeling excursion, sunset jetboat ride, or a helicopter tour that flies you over Bora Bora’s iconic Mount Otemanu. You can also spend time at Paul Gauguin’s private beach, which offers volleyball, snorkeling, kayaking, and paddle boarding. Spend the next 2 days at your leisure on the fabulous island of Moorea. Vibrant colors abound on this small island, in everything from fresh fruits and flowers to multi-hued lagoons, and from spectacular mountain peaks to palm-fringed beaches. Shop for local handicrafts, embark on an optional dolphin-watching expedition with a marine biologist, and sample the local pineapples, said to be the most delicious in all of French Polynesia. Tahiti’s capital city of Papeete welcomes you back with emerald hillsides, sapphire waters, and warm breezes today. From here, make your way to Tahiti Pearl Beach Resort for a night of luxury and relaxation. The resort faces a beautiful volcanic sand beach and offers an amazing view of Matavai Bay. Perhaps indulge in a rejuvenating massage at the spa, then watch the breathtaking Tahitian sunset as you enjoy a delicious meal and cocktails at the outdoor restaurant. Today, it’s time to say goodbye to the beautiful Islands of Tahiti. Make your way to the airport, where you will begin your journey home.